If you go on Quora or other online forums, you’ll find a lot of questions about the necessity of a project management certification. So should you actually get certified? The short answer: Yes. It’s never wrong to get an additional qualification. But there are so many different PM certifications out there that you can easily get confused or lose track of which certification is the right one for you and your specific circumstances. This is why we compiled a list of the most popular PM certificates and what you need to do to get one. 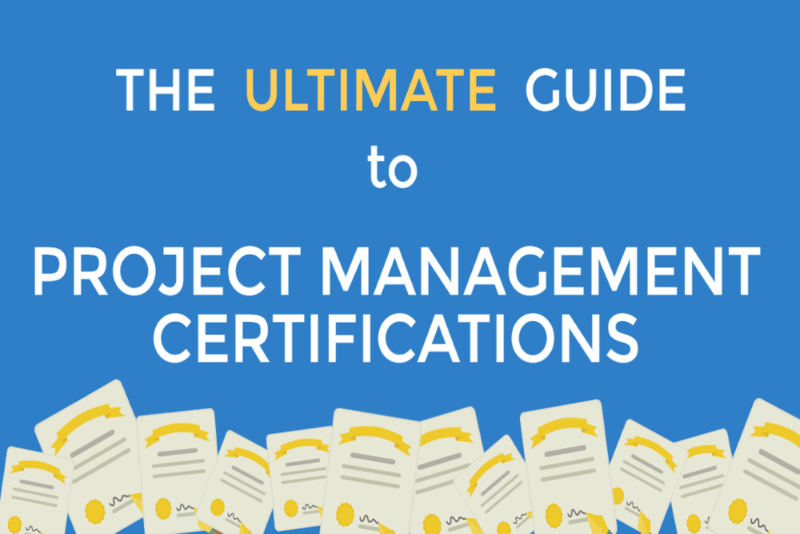 You don’t need to be certified to be a project manager, but a growing number of employers require their project managers to have at least one project management certificate. Being certified signifies that you have the necessary experience and PM knowledge, and are also able to apply that knowledge to real scenarios. This evidence of PM expertise is also reflected in the salary. Certified project managers earn on average 20% more than non-certified ones, according to the Project Management Institute’s project management salary survey. However, there are an increasing number of PM certifications. As getting certified is a time and money consuming endeavor you will want to choose the right one. The good news is that most certifications, even from different institutes, actually complement each other and sometimes it’s even advisable to get multiple certifications. As there are so many different certifications out there, we split this into a two-part series. The first part concentrates on the project management certifications from the Project Management Institute. If you’re thinking about getting certified, you must be aware that most of them only accept applicants that fulfill certain requirements. Most certifications require at least a secondary degree and a certain number of years of experience in leading projects. You also need to attend a certain number of hours of project management education. Higher level certifications could also require applicants to already have another certification to be eligible. If you fulfill all prerequisites, you can apply for the certificate by sending in an application form, including your CV and a self-assessment. Most certifications verify the applicants’ project management knowledge via an exam and/or personal interview. This is the standard process, but different certifications and even different certification bodies will have their own requirements. The Project Management Institute is one of the most important project management organizations in the United States, but is also respected worldwide with local and national branches in many countries. They offer credentials and certifications, but also established industry standards and frameworks for the project management profession. The PMP certificate is one of the most important certifications available for project managers, if not the most important. It is certainly a very popular certification among PMs because it’s accepted in any industry and country. Who should get this certification? This is an advanced certification that requires applicants to have at least 4,500 to 7,500 hours of experience of being responsible for every aspect of project delivery and leading project teams. How to maintain the certified status? You must earn at least 60 PDUs (professional development units) every three years. Anyone who would like to improve their project management skills and start to manage larger projects and take on more responsibility in projects. You have to take a 3-hour exam (150 multiple-choice question). Retake the exam every 5 years to maintain the CAPM certified status. For senior-level project managers who are leading multiple complex and cross-functional projects and teams. Maintain PgMP status by earning 60 PDUs every three years. For anyone who wants to gain recognition for their agile expertise, and who wants to work or is already working in an agile team or an organization that has adopted agile methodologies. You must earn at least 30 PDUs in agile topics every three years. For anyone who has advanced risk management expertise and experience, particularly project risk management, and is familiar with managing large and complex projects. You have to take a 3.5 hour exam (170 multiple-choice questions). Earn at least 30 PDUs in risk management topics every three years. For anyone who has advanced expertise and experience in managing project schedules, including developing and maintaining them. To maintain your PMI-SP status, you have to earn at least 30 PDUs in project scheduling topics every three years. For executive or senior level project managers who have advanced project portfolio management knowledge and skills and who have experience in managing project portfolios that align with the organization’s strategic goals. Earn at least 60 PDUs in portfolio management topics every three years. For project or program managers that have to perform business analysis and have experience in requirements management. You have to take a 4-hour exam (200 multiple-choice questions). To maintain your certified status, you have to earn at least 60 PDUs in business analysis topics every three years. The Ultimate Guide to Project Management Certifications (Part 1): The PMI Certifications - InLoox • Copyright 1999-2019 © InLoox, Inc. All rights reserved.